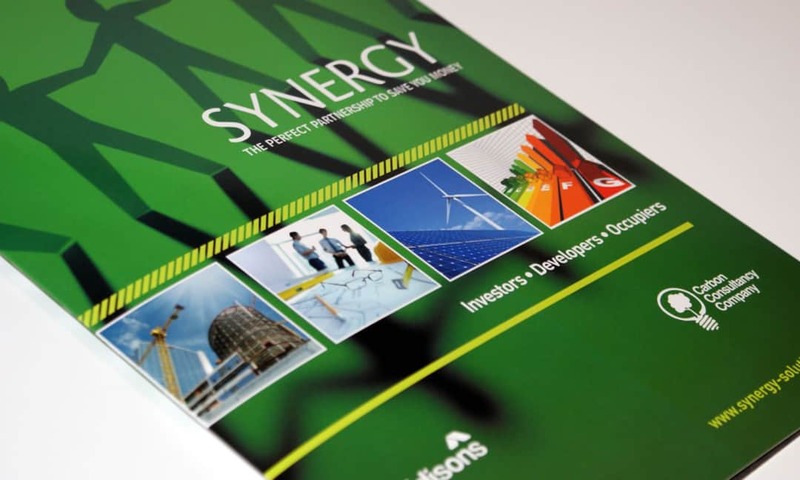 Synergy is the joining of Carbon Consultancy Company and Eddisons to improve the future of property. In a changing World, both economically and environmentally, it is important to examine every aspect of property and make steps to improve the future vale of portfolios. Our design team was appointed to design and create a bespoke marketing brochure to promote their unique property offering. Two minds with property and sustainability at the core of their organisations partnering together to deliver real, sustainable solutions, they wanted something that could be used to demonstrate to potential investors, developers and occupiers exactly this.